The WRRR is located in deep east Texas near Nacogdoches. 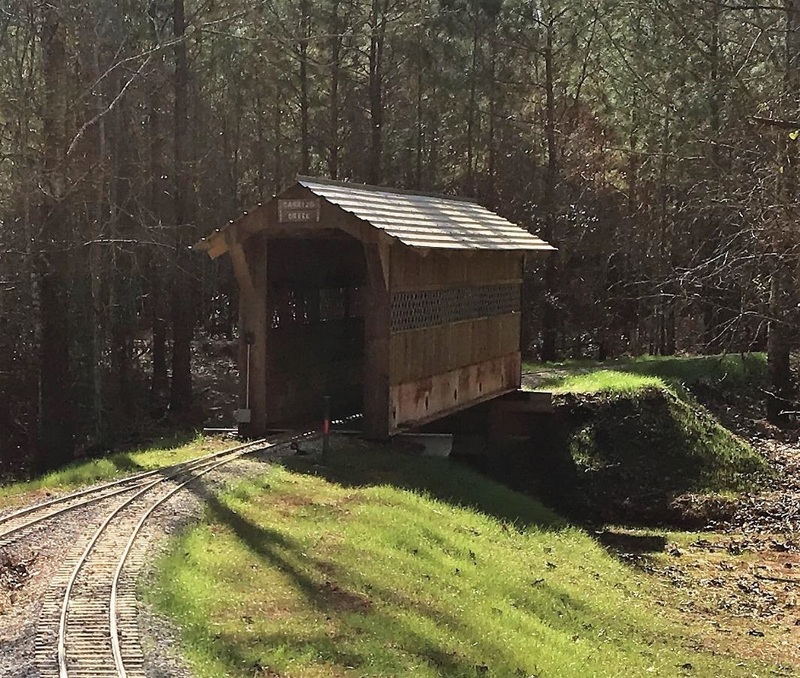 It features 4,500 feet of bi-directional mainline with 9 towns with passing sidings and 2,000 feet of yard and siding track. Grades approach 2.5% with a minimum radius of 50 feet. Safety chains are required and brakes are highly recommended. Loading/Unloading accomplished with 14’ transfer table with a maximum height of 6’ and a minimum of 19”. The primary yard has 4 – 100’ double ended tracks and a run-around track to the loading area. Trinity Industrial has 3 – 50’ tracks. RV – 4-30 amp and camper 3-20 amp receptacles. A Capture/Release signal system is used to control access to bidirectional track. Windy Ridge is a Drug & Alcohol Free Railroad. Smoking is restricted in all enclosed areas unless you are a steam engine, then it’s OK. Lift and Transfer table, 14 ft. 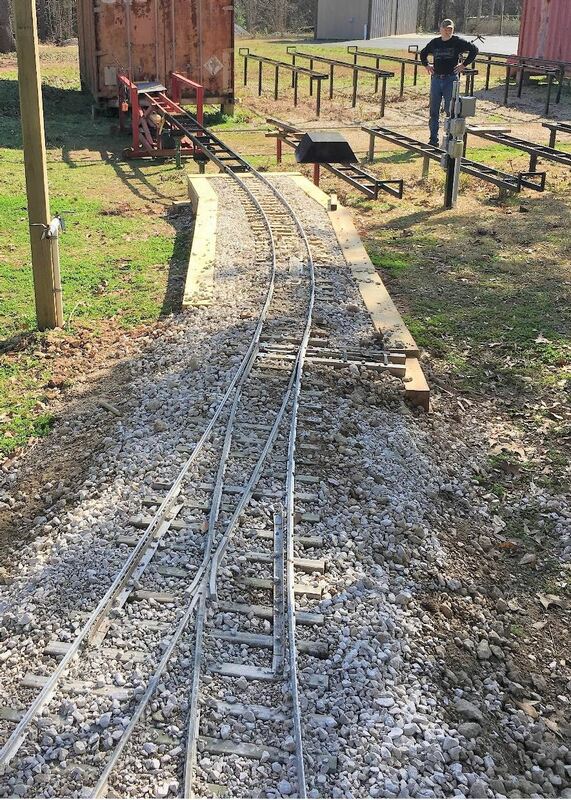 The crew at WRRR has been working hard since the last meet to fine tune the railroad. 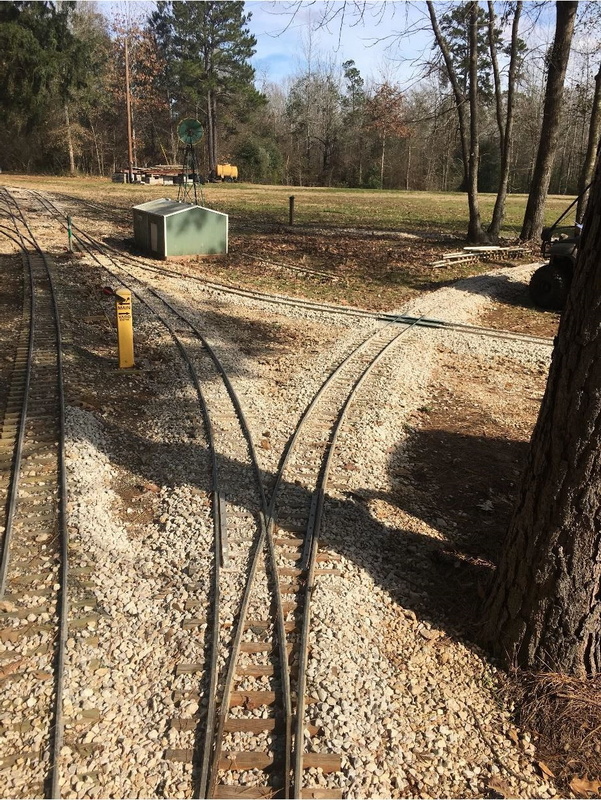 Attoyac Yard now has a turning “Y”, the troublesome “S” curve by the barn is gone and the signal system has been updated for dependability. WRRR has 9 town with at least 2 stub sidings that can be used to park “out of service” equipment. WRRR has a total of 20 Locomotive parking spots with power to recharge electric equipment. Trinity industries and Bonita Industrial Park provides parking for non-electric equipment. The station is a pleasant train watching area and provides steam locos a watering place off the mainline.